This album has been one of the most anticipated I have seen in a long time. Fans and those alike have been patiently waiting for months for this album to finally be released. 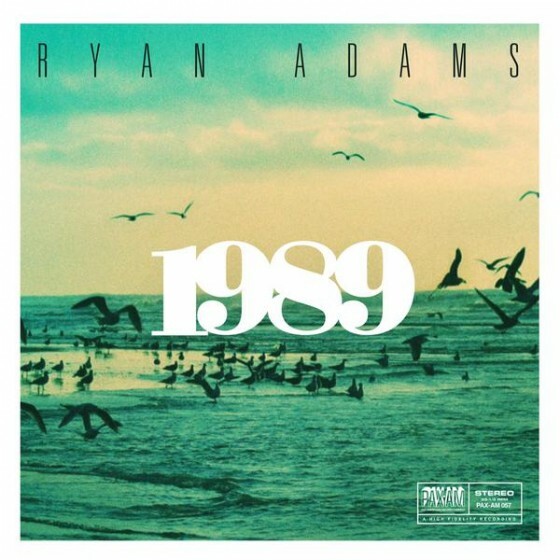 Following Taylor Swift on a few different social media channels saw me being updated constantly of Ryan Adams’s progress on his full cover of Swift’s most recent release ‘1989’. Before her pop days, Swift was a major country star – taking inspiration from the likes of Dolly Parton, James Taylor and… Ryan Adams. Earlier this week, Adams teased us with his haunting version of Bad Blood, Taylor’s most recent single. Judging from the first heard songs, it seems as though this cover album seems like it is on its way to being the best selling of his career, benefiting from Swift’s promotion of it herself. So far for me, it is one of the best albums of the year. Now lets talk about the actual album. It was released this morning and I have been listening to it ever since. Accompanying me through my day in the office, I had Ryan’s haunting voice soothing me through my day. His take on Swift’s songs are simply incredible. That’s the only word to describe it. Incredible. If by chance you lived under a rock and had no idea who Taylor Swift is, you would just have thought this was one of Ryan’s new albums. He takes the pops songs and completely changes the compositions; making them haunting and dream-like. The album is full of emotional intelligence. I loved this original album anyway, but it is so powerful and stylistic that it is genuine awe-inspiring work; not a copy, a complete rejuvenation of an already incredible album. Ryan’s ability to strip back the pop songs to almost nothing, similar to those on Blank Space and Style, these songs almost brought me to tears (not a good look in the office!). Adam’s vocals are as striking as ever, and this is particularly displayed in one of my favourite songs upon the album Style. He knows when to show is powerful vocal ability but what I love most about Adams is that he also knows when to bring it back, strip it down and bring in his subtle, heart-breakingly emotional vocals. This is displayed exceptionally in This Love, a song so honest and raw, I could hear my heart breaking at my desk.